Social Security is meant to act as a safety net for Americans. The one thought that occurs to most of us is that our Social Security payments are supposed to be there for us when we get old. While that’s correct, Social Security is also meant to be there in the event that we get injured or disabled and find ourselves unable to work like an unexpected accident happens like an automobile accident. This is an important aspect of Social Security that many of us don’t think about, and why would we? No one plans to get injured or disabled. No one expects to have a lifelong disability. The process of obtaining Social Security Disability Benefits can be time-consuming and complicated. However, Nancy L. Cavey, our current Social Security Disability Lawyer and former Social Security staff attorney, can help determine what benefits you are eligible for and whether you are likely to be considered “disabled” under Social Security Rules and Regulations. Contact our Social Security Disability Lawyer Firm for a copy of our free no obligation book “Your Rights to Social Security Disability Benefits”. This informative book will explain the disability claims process in detail and reading it will not be a waste of your time! The Social Security Administration offers disability benefits (called Social Security Disability Insurance) for those that were severely injured or unable to work. The spouse and children of the injured are also eligible to receive financial aid. The Social Security Administration (SSA) does not make it easy to get benefits. The SSA can be very strict and sometimes very short-sighted when it comes to issuing payments. Approximately seventy percent of applicants are denied on their first application. The process of applying for benefits can be very long and very difficult, and isn’t something that a person adjusting to a disability should have to go through alone. Statistics show that Social Security Disability applicants who have an experienced Social Security lawyer have greater success in obtaining benefits. At Cavey Law, your St. Petersburg, Florida Social Security lawyer, we help you through all phases of the Social Security Disability Claims Process. An applicant for Social Security Disability Insurance has five chances to get his or her claim approved. Having an experienced attorney could help you get approved sooner, which would help you get the money that you will need. In order to receive Social Security benefits, you must first apply. Begin by calling the Social Security Administration (SSA) at 1-800-772-1213. Once you contact Social Security, you have established a protective filing date for your application for benefits. You will then be scheduled for an interview with a claims representative at a local Social Security office. If you are unable to go to your local Social Security office, you can have a telephone interview. Tampa Bay Social Security Disability lawyer, Nancy L. Cavey, knows that completely and accurately filling out your disability claim application can increase your chances that your claim will be accepted. Nancy Cavey, who has over 37+ years experience with the Social Security Disability process, concentrates her practice on representing clients seeking Social Security Disability benefits (SSDI). Getting our free book “Your Rights to Social Security Disability Benefits“ will help you understand the processing of filling out your disability forms, the process of obtaining benefits and your rights if you are denied Social Security Disability Benefits. Filing out the disability application requires preparation! You must put together a list of your employers for the last 15 years, what your job duties were, what medical providers you have seen for your medical condition, what medication you are taking and what prevents you from working. Nancy Cavey, a Florida Disability Application lawyer, will assist you in completing your disability claims application and will obtain the necessary information to explain how your medical condition entitles you to Social Security disability benefits (SSDI benefits). The Social Security Administration (SSA) must understand your medical condition- they must picture how your condition makes you unable to work. Saying you can’t work is NOT enough to win your claim. 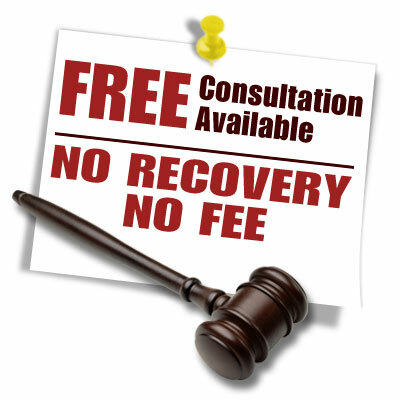 At The Law Offices of Nancy L. Cavey, your Tampa Social Security lawyer, we obtain your medical records and have your doctor complete a Residual Functional Capacity form that explains your limitations. The Social Security Administration (SSA) will never send your doctor one of these forms and most doctors don’t even know what these forms look like! We review your medical records and help develop the medical evidence that paints the complete picture of your medical condition. Being unable to find a job or even hold a job isn’t enough to qualify you for Social Security disability benefits. The Social Security Administration (SSA) will determine if you can go back to the lightest job you held in the last 15 years. It is important to show what your job duties have been and how your disability makes you unable to perform those job duties or duties you are qualified to perform. Nancy Cavey, a St. Petersburg, Florida Social Security Disability Lawyer, will fully develop your work history and education for the Social Security Administration (SSA). If you are unable to do the lightest job you have held in the last 15 years, you still must show that your age, education, and limitations prevent you from finding employment in the national economy or that you have the experience necessary to change careers. Florida Disability Application lawyer Nancy Cavey gathers the medical and vocational evidence the Social Security Administration (SSA) looks for to meet this test. A claims examiner at Social Security will make an initial determination as to whether or not you qualify for benefits and the State Disability Determination Section will make a medical decision on your case. You will be sent a written decision in approximately 90 to 120 days following your application. If you do not hear from Social Security within this time frame it is a good idea to call and check on the status of your claim. If your initial application is denied, you should receive a written notice from Social Security. This notice states why Social Security denied your claim. In Nancy’s experience, a large number of valid claims are improperly denied Social Security disability benefits at this stage. To continue your claim, you must file paperwork asking for “reconsideration” of your case within 60 days after receiving the written notice of denial. You should advise Social Security about any evidence that might benefit you. Do not be surprised or discouraged if your claim is denied at reconsideration – very few claims are granted at this level. At Cavey Law, a St. Petersburg, Florida Social Security Disability Lawyer, can help you prepare and file a Request for Reconsideration and help develop the necessary evidence to be submitted to the Social Security Administration (SSA). Nancy can help with the Florida Disability Claim Appeals process and provide you with disability claims appeal process if you have been denied social security benefits. In some circumstances, your case will be referred to an adjudication officer (AO) at the state agency. This AO will summarize the evidence in your case prior to sending your file to the Judge for hearing. In some cases, Cavey Law can work with the adjudication officer to get your claim allowed. Otherwise, your case will proceed to hearing. This “AO Program” is a pilot program and is only available in a limited number of claims at the discretion of Social Security. If you receive a notice of denial of your request for Reconsideration, you must file a request for a hearing within 60 days. Since your hearing is your best opportunity to win benefits, and because you will be appearing before a judge, it is wise to have Cavey Law, a Social Security attorney, working on your case. Social Security’s own statistics show that claimants who have lawyers win more often than claimants who go to hearings alone. If you lost at the hearing level, you can appeal to the “Appeals Council” and ultimately to Federal Court. The Appeals Council accepts new material evidence and written arguments in support of an appeal. You must file your request for review within 60 days of your receipt of the hearing denial notice. The Council will only reverse or remand a hearing decision for a limited number of reasons. An experienced attorney will know how to argue on your behalf before the Appeals Council. Even if you lose all of your administrative appeals, an attorney can still represent you in an appeal to the federal district court. Again, this appeal must be filed within 60 days of your receipt of the Appeals Council denial notice. Unlike the previous stages of appeal, an appeal to the Federal District Court is an adversarial proceeding and a United States Attorney will defend the Social Security Administration and their decision in court. Like the Appeals Council, a District Court Judge will only reverse or remand a hearing decision for a limited number of reasons. An experienced attorney will know how to argue a case in District Court, but very few cases are reversed or remanded at this level of appeal. You can also file a new application for benefits. However, filing a new application is not the same thing as appealing a denial, and you could lose benefits by not appealing a denial. In some instances, failure to appeal a denial can even result in your becoming ineligible to receive further benefits. If you have any questions or have been denied Social Security Disability benefits, we will review your case and denial letter at no charge and suggest an appropriate course of action. Contact our Florida Social Security Disability law office for your free initial phone consultation of your case today by calling (727) 894-3188. It is important to think of the Social Security Disability Insurance application process not as an application, but rather as a trial. You will be required to prove the extent of your injuries, and you will be required to show exactly why these injuries are keeping you from working. Just as you wouldn’t think of going to trial without an attorney, you shouldn’t consider attempting the Social Security Disability Insurance application without legal counsel. If you are suffering from a disability and can’t return to work, there is a great deal at stake in getting your application approved. The Law Offices of Nancy L. Cavey, your Tampa Social Security lawyers, are some of the foremost experts on Social Security law in the Tampa area. We know exactly what it takes to get a disability claim approved, and we take pride in helping you get through the process successfully. If you or a loved one is attempting to get through the Social Security Disability Insurance application process, contact our offices for a free legal assessment today. The Law Offices of Nancy L. Cavey serves clients all over the state of Florida and throughout the Tampa Bay area, including St. Petersburg, Pinellas Park, Clearwater, Dunedin, Palm Harbor, Tampa, Brandon, Bradenton and Sarasota. The firm serves clients in Pinellas County, Hillsborough County, Pasco County, Manatee County and Sarasota County, and all counties and cities in Florida.